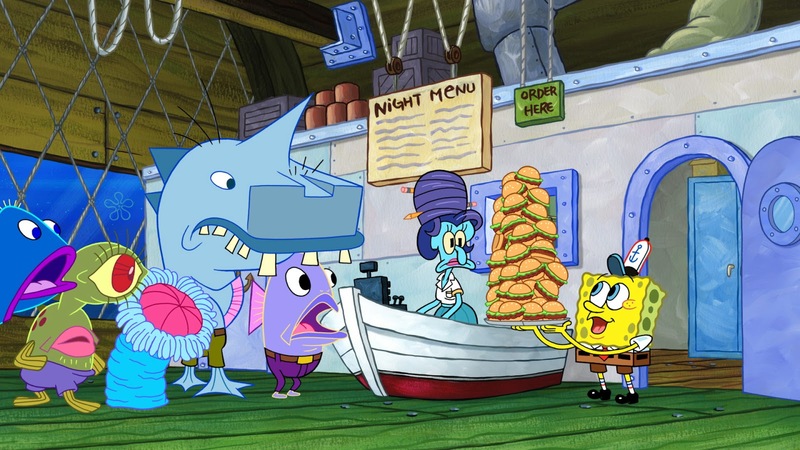 Update (10/19) - Following the debut's of "The Night Patty" and "The Grill is Gone", Nick will continue to air more brand-new episodes of SpongeBob SquarePants Sundays at 11:00am ET/PT from Sunday 28th October 2018! The new schedule is below. 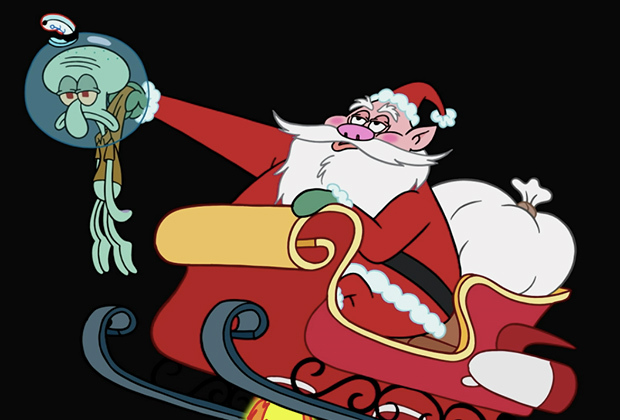 SpongeBob SquarePants' special holiday guest could give Mr. Krabs a run for his money in the jolly-and-red department. That’s right, the best fry cook in all of Bikini Bottom has a run-in with Santa Claus himself in Nickelodeon’s upcoming event “SpaceBob MerryPants” (Sunday, Nov. 25 at 11 am) — and TVLine has an exclusive first look at their chance encounter… on the moon. Lewis Black? Santa Claus? The moon? I'm not sure when this turned into SpongeBob Mad Libs, but it sounds great! Hit PLAY on the video below for an awesome first look at “SpaceBob MerryPants,” then drop a comment with your thoughts below. Update (10/16) - Unfortunately, it looks like Nickelodeon USA have cancelled their plans for a SpongeBob SquarePants premiere week this October. Additionally, Nick will now premiere the brand-new SpongeBob SquarePants Halloween special on Sunday 21st October 2018 at 11:00am ET/PT. Update (10/17) - In addition to "The Night Patty", Vincent Waller has announced that Nickelodeon will also be premiering the brand-new SpongeBob episode "The Grill is Gone" on Sunday 21st October 2018 at 11:00am ET/PT! Originally published: Wednesday, October 03, 2018. Original post title: Nickelodeon USA to Premiere 'SpongeBob SquarePants' Halloween Special on Sunday 21st October 2018. Sources: Nickandmore! ; H/T: TV Shows Fan, Anime Superhero Forum /@superkeegan9100, @kanc, Zap2it TV Listings.